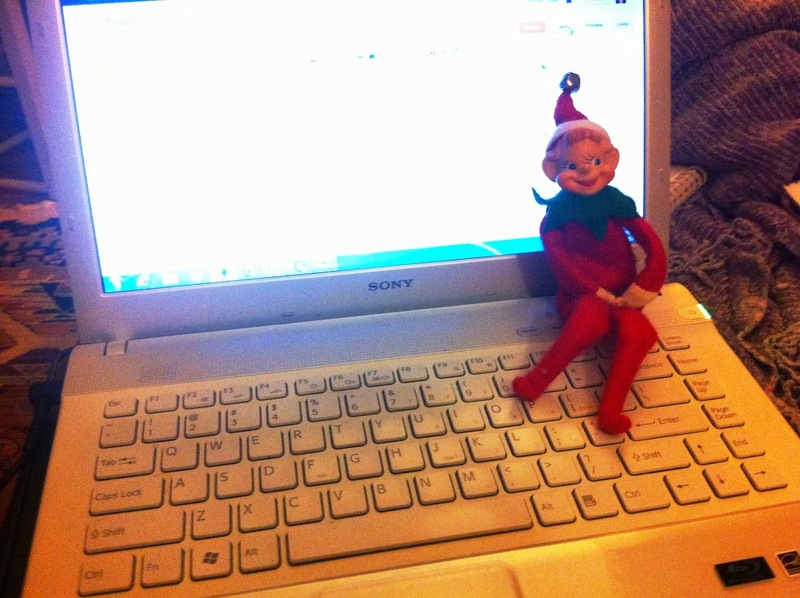 Hey, Man. There's like this funky Woodstock Party shakin' in Walmauma, Florida, on Saturday, Aug. 29, 2009. 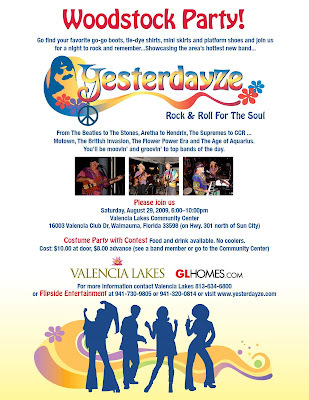 Dig out those bell bottom jeans, flower-power shirts and groovalicious peace symbols to join the fun at Valencia Lakes Community Center and celebrate the 40th anniversary of Woodstock with the band Yesterdayze, promising rock & roll for the soul. When: Saturday, Aug. 29, 2009; 6 to 10 p.m.
What: Costume Party with Contest, includes food and drink. Cost is $10 at the door, $8 in advance. Disclaimer: An uncle is a band member of Yesterdayze.